Spaces Available for 4-9 year olds ! Contact naomiguzmanpoole@gmail.com to reserve your child’s space today ! 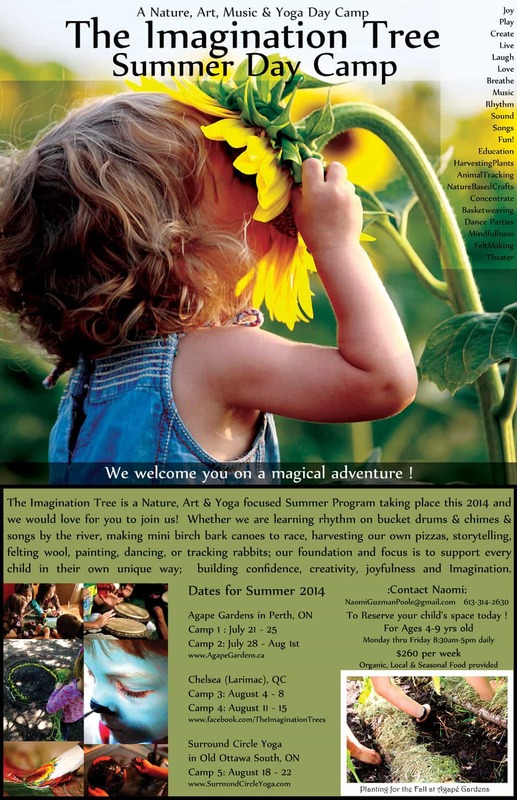 The Imagination Tree is a Nature, Art and Yoga focused Summer Program taking place this 2014 and we would love for you to Join us! A Creative filled day with summer Magic and Inspiration. Our program is focused on three major sects. Nature, Art and Music and Yoga. Everyday is filled with amazing activities Geared to inspire and educate children in the rhythm of the natural world. We use yoga as a means to ground and focus our energy before and at the end of our days. We explore different mediums of the arts to encourage the innate creative within children to come alive and give children a chance to try new artistic endeavors.